Something exceptional is taking place in London on 24th July: the first-ever Global Disability Summit, co-hosted by the UK and Kenya Governments and the International Disability Alliance. The Summit calls attention to the long-neglected rights of people with disability. Organisers and delegates hope to mobilize new global and national commitments on disability while showcasing good practice, innovation and evidence from across the world. So why is this so important for older people in the countries where we work? Nothing could be simpler to understand: the Disability Summit is about people of all ages. Here are some helpful reminders: globally, people over the age of 60 account for at least 38 per cent of the population living with disability. In developing countries, this figure jumps to over 43 per cent. According to the World Health Organization and the World Bank, the prevalence of disability also increases significantly with age. Crucially, the experience of disability in later life is gendered, with a much higher number of women living longer with disability then men. When we talk about people with disability who are older, it is important to remember that there is a huge diversity of experience. There are older people living with disability from birth, and others who have acquired disability as they grow older. There are older people living with dementia, and those who live with mobility, sight or hearing impairments. And of course, one’s experience of disability varies enormously if one is wealthy or poor. The common experience of people living with disability at any age is stigma and discrimination, which is why the Disability Summit is so important. People with disability have been marginalized in society for so long, and being older with disability can make you more invisible still. All too often, we cease to see an older person with disability as a person. Our perceptions of older age can cause us to think of a person in later life as being less capable, or even as having less worth in society. This means that their needs can be overlooked at times of humanitarian crisis, or the contributions that they make to their family and community can be ignored so they are left out of development programmes. So, how do we respond? A key part of our response are three things that go right to the core of what the Disability Summit is trying to achieve: raise awareness, set standards, and include people themselves. Raising awareness of the experience and rights of people with disability who are older requires data and evidence about what is happening in a person’s life throughout their lifecourse. 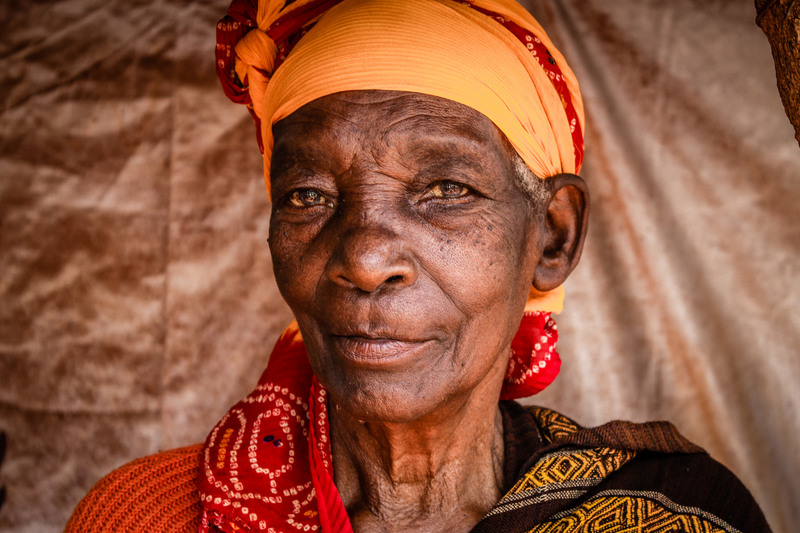 This is a key part of the Sustainable Development Goals commitment to Leave No One Behind, but international data collection and analysis on later life is very weak. Many measures stop at the age of 49, or others clump all people over the age of 60 into one homogeneous group. The new UN Statistics Commission Titchfield City Group is a promising step forward to finding ways to close some of these gaps. Setting standards is hugely important because no single agency can respond alone to the enormous needs being faced by older people with disability. This is particularly true in emergencies, where humanitarian actors frequently overlook the needs of older people with disability. This is why the Humanitarian Inclusion Standards for Older People and People with Disability (HIS) are so important. Now part of the globally recognised Sphere Humanitarian Standards Partnership, HIS gives guidance and practical advice to organisations and people working on the ground in these difficult contexts. Setting standards is also about the legal rights of older people with disability. The Convention on the Rights of Persons with Disability (CRPD) was ground-breaking in securing awareness of the rights of people with disability and clarifying the ways in which society must go about protecting their rights. While CRPD includes people with disability of all ages, it does not cover the rights of older people without disability. This is why we are urging UN Member States to begin the process of drafting a new human rights convention on the rights of older persons that does for all older people what CRPD does for those living with disability. We are convinced that a convention can be a catalyst for strengthening the rights of older people with disability by tackling head-on issues such as age discrimination that are not covered in other international human rights treaties. Finally, including older people is integral to our work. We work with and alongside Older People’s Associations, many of whose members live with disability, and Disabled People’s Organisations. We also help older people to give voice to their own concerns through our Age Demands Action campaign. Our partners and the older people we work with want us to put the disability anthem “nothing about us, without us” into practice. We expect nothing less of the Disability Summit and hope that it will truly be a platform for amplifying the rights of people with disability of all ages.